Sitecore provides facility to run scheduled jobs at specified regular interval like DatabaseAgent, UrlAgent, etc. We created our own agent to make scheduled publishing. So, this agent is executed every one hour and starts pending publishing, which can take several minutes say 20-30 minutes. Here, every 1 hour, Sitecore invokes the agent named ScheduledPublish and executes StartPublish method of SitecoreTactics.Tasks.PublishManager class. Now, we had a requirement to invoke our custom agent in between through a Web Page when user wants to do instant publish instead of waiting for next turn of its execution. Should we call our code from the web page itself or invoke the Agent directly programmatically? There was no clear idea which can be a better approach? Below are two approaches we worked on. Earlier, we called the PublishManager's StartPublish method directly from the web page, when user clicks on a button as below. The limitation in the approach was, the code was executed by the thread of web page or a web request, which needed to be executed more than 30 minutes. But, after the Server's Script timeout (default 5 minutes), the execution was stopped every time and could not complete full job of 30+ minutes. But if same code was executed as a Sitecore Agent, it finished all execution, because Sitecore Agents are executed by separate ManagedThreadPools, which never has TimeOut until they finish job or Application ends. Now, we are not worried for executing agents's code. Agent's process needs to be executed for one hour, two hours, ten hours? 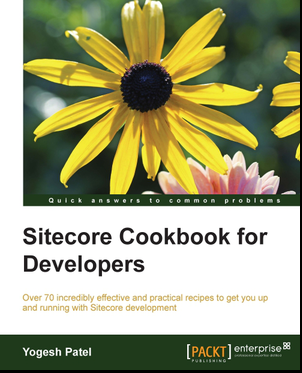 No worries, we can now call Sitecore Jobs programmatically!! Should be invoked by a Batch job, I have followed the below steps. 1. Created a command item and Mentioned the Type as "Sitecore.Commerce.Commands.Products.SynchronizeAllProducts, Sitecore.Commerce"
I have tried with StartProcess method as well :( dint work for me. Can you please advice? Hi Sharath, this post is describing about Sitecore.config agent. And looks like you are looking for for Database agent.